It’s dark and he thought that it would be cold as a winter in Minnesota. Except it’s not cold, in fact it’s rather warm. Not to hot and not to cold, yet just right. He feels like he has been walking for many miles and many days. He knows that he should be out of breath, nonetheless he’s not. Amongst the darkness he sees a secluded light in the distance. He has no idea where he is, he just knows that he must walk towards that minute light up ahead. It could be a hole, large enough for a man, then again it could be a cave. The only thing he sees is the light amongst the darkness. So he keeps walking and he keeps his eyes focused on that light. Darkness. Some are quite scared of it and others rather enjoy the solitude of it. He believes that like any child, he too was afraid of the darkness. Although he can not remember when, for he has always been surrounded by light. In this darkness there is no fear and no feeling of walls closing in. Just peace. The light grows larger as he approaches what looks like a hole. It’s a mild fight to get through to the other side. It’s a feeling of walking through a dense thicket of thorned shrubs and undergrowth. With pure joy he has broken through. On this side of the void is a sight of pure beauty. It’s the sight that he has held closely in his mind. Basking in the soft summer glow of the sun is one of the most elegant sights, he thought that he would never find let alone see. He is standing on a hill that over looks a lake. Off in the distance are mountains that nearly touch the sky. He believes that his search is finally over...but is it real? “Hello Pete...” says a voice from his right. He looks and sees his good friend John sitting next to an old oak tree. He must be dreaming! This can’t be, John passed away almost twenty years ago! “It’s a beautiful sight.” says John as he looks out at the wide open space below them. He is dreaming. This has to be a dream, an illusion or even a hallucination! He looks down at the ground as his mind tries to calculate what he is seeing. What was the last thing that he remembers? Think... think... That’s right, he was in the hospital with his wife Erin holding his hand and crying. Poor Erin. Where is she? Where is my beautiful wife Erin? “What do you mean? Where am I? How...” Pete asks with determination. He gives his former boss a questioning look as he sits down and rests next to the old oak tree. “I don’t understand...” says Pete. “Don’t you recognize this place? Don’t you understand where you are Pete?” asks John as he points towards the mountains. He just looks around, dumbfounded as to where he is. He knows that at sometime in his life he has been here before. He just can not remember when. “Come...let me show you around...” states John as he gets up. Up to his surprise, what he thought was a hill, was actually a mountain side. As they trek down the ridge, he feels that he should be extra careful in fear that he might fall and hurt himself. But, his body relaxes as he watches his friend walk ahead with calm and comfort. A comfort that brings a sense of serenity. He can not waver the feeling of youthfulness that over comes him as they continue with their trek down the ridge and through the forest. It’s as if they are young jubilant boys, playing follow the leader as he imitates the movements that John makes as he jumps off of rocks and navigates through thickets with ease. As they walk, Pete can hear the faint sound of music that rides the gentle breeze. It’s this music that calms his anxiety. Then John stops in front of a cover of tall ponderosa pines. It feels as if they have reached the bottom of the ridge. John looks back at Pete and smiles. With his left arm, John pushes the pine boughs aside and invites Pete to continue through. Pete accepts the offer and proceeds on. Once through, it is there that Pete finally realizes where he is at and how he knows this place. “Welcome home, my friend, welcome home...” states John Denver as he walks up and places his left hand upon Pete Huttlinger’s right shoulder as a gesture of love and friendship. Born in Washington, D.C., on June 22, 1961, Pete Huttlinger was the descendent of two prominent journalists. His maternal grandfather, Fred Walker, was an editor of the San Francisco Call-Bulletin and his father, Joseph, was a White House correspondent. Although journalism was in his blood, Pete longed for music. By the age of twelve, Pete began music lessons and at the age of fourteen had found his calling with the guitar. After graduating high school, Huttlinger chose to study music at Berklee College of Music and graduated with high honors in 1984. After college, he moved to Nashville and took on every musical job he could find including recording demos for songwriters to playing in bands at the Opryland theme park. 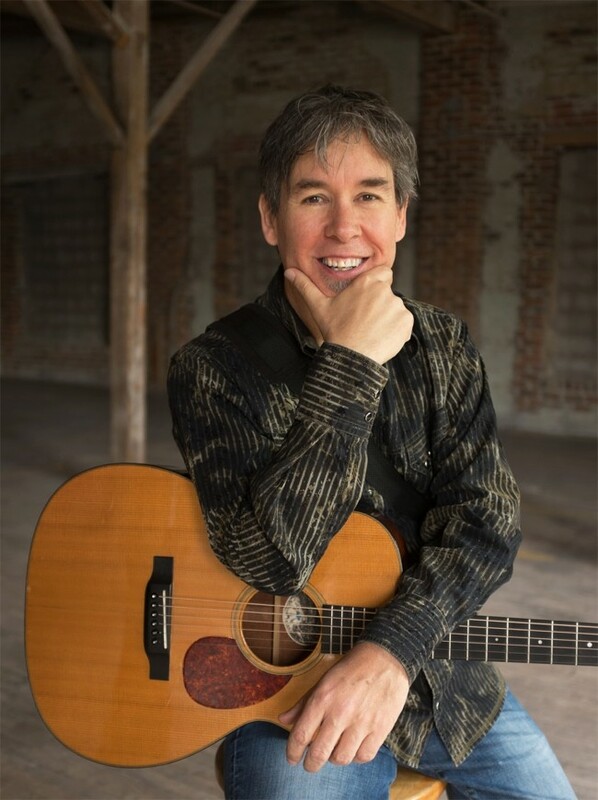 In the early 1990’s Kris O’Connor, John Denver’s tour manager and producer, heard Pete on another project and recommended him to join Denver’s band. From 1994 until Denver’s death in 1997, Pete toured, recorded and performed on television as the iconic singer’s lead guitarist. After the death of his boss, Pete went on to enjoy a solo career. Throughout his career he reaped the rewards of fifteen solo albums, performed on numerous Grammy-winning and Grammy-nominated projects, and was also nominated for an Emmy for music he composed and performed for a PBS Special. As an instrumentalist he performed with LeAnn Rimes, John Oates and many more. He is a veteran performer at Carnegie Hall and has participated in Eric Clapton’s Crossroads Festivals. In 2000, Pete earned the title of National Fingerstyle Guitar Champion. On January 24, 2014, I was honored to present Pete Huttlinger with the 2014 Spirit Award for the President’s Choice Award for his album McGuire’s Landing. The presentation took place after his live performance presented by the Minnesota Guitar Society. His live one-man show, was a jaw dropping performance that left all of us guitar players mesmerized with his proficient guitar picking. As talented as Pete was, he never basked in the glory of his vast accomplishments. His humbleness was derived from being born with a rare heart defect. Beginning as a teenager, Huttlinger underwent a series of operations that ultimately failed to normalize his heart functions. Then in 2010, Pete suffered a stroke that left him, doctor’s feared, permanently immobilized. However, his tenacity won the better and he fought to recover. Shortly after he was challenged again when he faced a devastating end-stage heart failure. He was flown to the Texas Heart Institute and fitted with a heart pump called a Ventricular Assist Device (the little black box) and spent the next five months in the hospital, recovering and learning how to play his guitar all over again. In 2013, Pete released his long-awaited, dear to his heart, project called McGuire’s Landing. The project included a short prose with a musical album. Although the story was about an immigrant who searches for a place called home, called McGuire’s Landing, it represents the fictitious place that we all create to find peace in our daily lives. On January 11, 2016, Pete Huttlinger suffered another stroke and was admitted to Vanderbilt University Medical Center in Nashville. On January 15, 2016, surrounded by his wife Erin, family, friends, doctors and fellow musicians - Pete Huttlinger passed away. There it was, right before his eyes, the lake nestled in the valley of mountains and surrounded by the woods. Off in the distance he could see an elk grazing by the shore. As he walked out on to the dock he could see that the lake was crystal clear, it was his Clear Lake. “I don’t get it?” asks Pete. He takes another look around the lake. He lets each of his five senses collect everything there is to see, smell, taste, feel and hear. He then looks at his friend with a question on his face. Pete then looks down at the dock as the thought of his beloved wife comes into his mind. He is heavyhearted as he thinks about how he wishes Erin could see what he sees right now. Hope and love fill his heart as thoughts of Erin joining him here fill his mind’s eye. Together, they walk back towards the shore. Once off the dock, John leads Pete towards the music. About twenty or so yards away are a few cabins with a group of people playing their guitars around a blazing campfire. On this side of heaven, just past a mountain or two, is a lake so clear one can see the bottom. The fish are eager to nibble upon your hook as the wind gently blows across the lake. On the north side of the lake is a collection of cabins, just in case you need to take a nap. But there is no napping on this side of heaven, for the true beauty captures even the most faint of heart. The cabins are not owned by anyone. They are simply there to add to the elegance of this side of heaven. Every night, we gather around the campfire to share stories about our lives and loved ones. However, that never lasts long, for when the music starts - well let’s just say we become a lively bunch.